“It’s like fireworks with her. 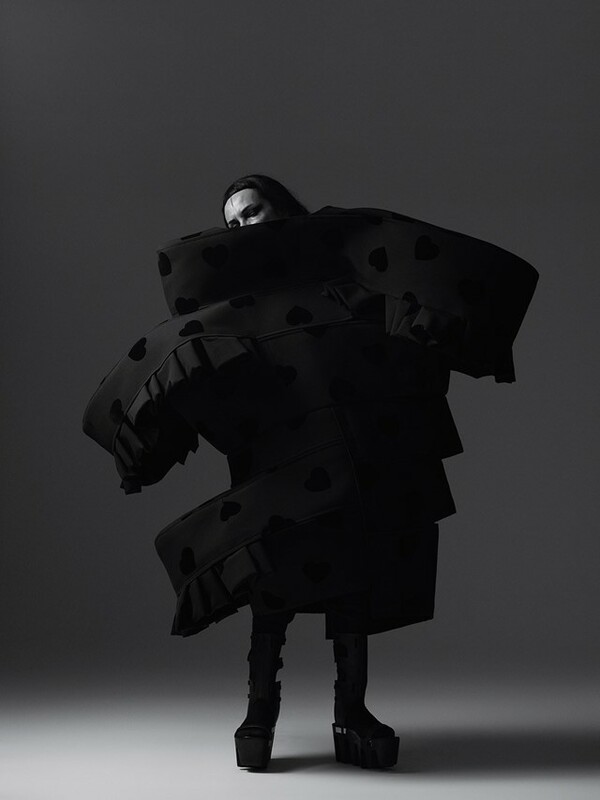 Sometimes you think they’re finished, and then – boom!” In a Parisian photo studio, Michele Lamy – fashion matriarch, curator, performer, restaurateur – is discussing Comme des Garçons founder Rei Kawakubo. Rail upon rail of her archive of sculptural Comme showpieces have been roused from hibernation, cascading stiff red petals brushing up against rows of fat white bows. Lamy is in the middle of it all, the centre point around which the entire room orbits, and someone whose presence is powerful enough to upstage even a five-foot bulbous cocoon of black lace which doesn’t offer the luxury of armholes. Today, she’s playing dress-up. A near-mythic figure in an industry that thrives on the thrill of a mysterious individual (like the discerningly quiet Kawakubo), Lamy is even better in person than you might imagine from tales of her past: ditching legal studies for striptease, becoming a queen of Los Angeles’ 90s underground, falling for a pattern-cutter that she hired by the name of Rick Owens. Her wrists are encircled by bracelets, and her bright blue eyes are ringed with black, the colour with which she dyes her fingertips and mark a line down her forehead. Then there’s what you can’t see: the heady, smoky scent she carries with her, the warmth of her jewelled hands as she takes your own. You half expect her to turn one over and trace your fortune with a knowing flash of her teeth, set in gold and glittering with diamonds. Lamy first became familiar with Comme des Garçons at the same time as the rest of the western world. 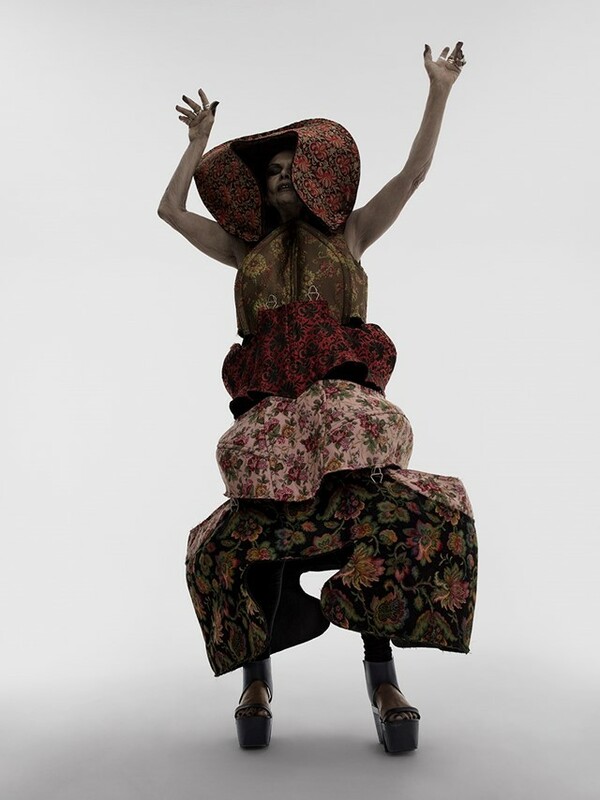 It was in 1981, after Kawakubo (along with fellow Japanese designers Yohji Yamamoto and Issey Miyake) descended on Paris and scandalised the industry with their total disregard of fashion’s well-established conventions. Instead of emphasising the body, they concealed it, often under dark, unisex swathes of fabric which might feature an unfinished hem or a rebellious extra sleeve. “It was the first revolution in clothing since Coco Chanel,” Lamy recalls with her warm French drawl. She followed the story of the renegade trio in newspapers and magazines from LA, where in 1996 she would transform a barren parking lot into the site of brilliantly chaotic cult restaurant Les Deux Cafes. Her first pieces came from LA fashion outpost Maxfield, which stocked even the earliest collections. “I’ve always had a little Comme something around, though much (of) what I had then has disappeared on somebody else’s back,” she smiles.